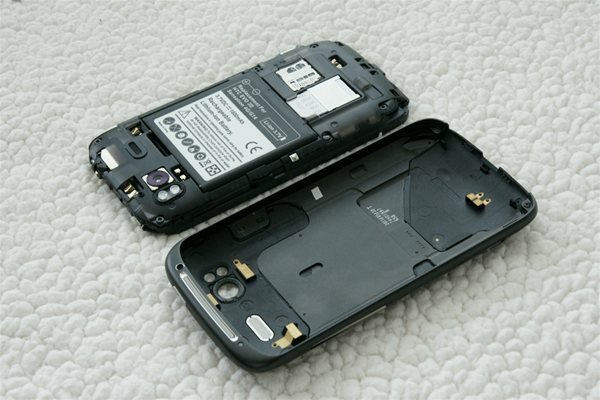 When I used to have a an HTC HD2 one of the things I did was polish my battery cover. 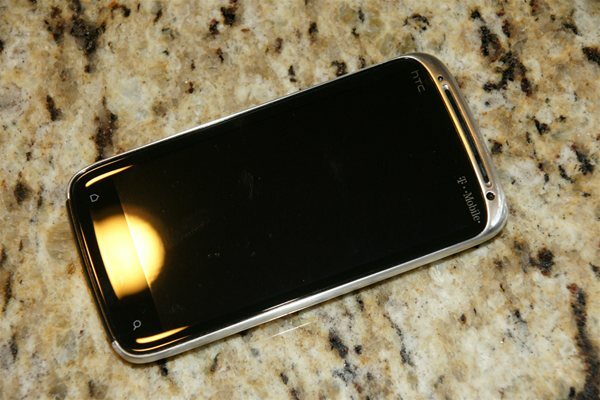 As you can imagine the full aluminum frame of the HTC Sensation 4G was one of the major reasons I got this phone. Finally I set aside a few hours to polish my Sensation 4G's frame. The results were stunning. I figured others may also want to do this. 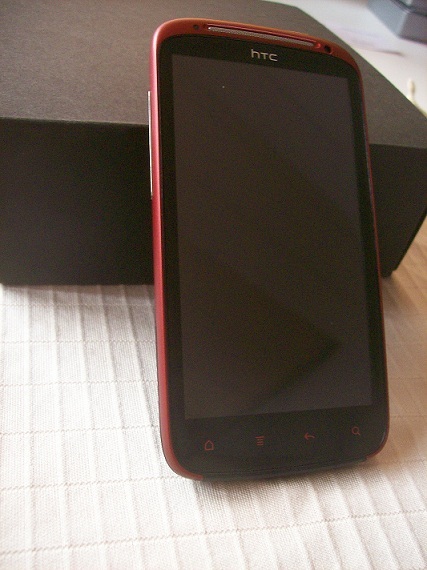 So I have written a tutorial on how to polish the frame of your HTC Sensation 4G. Questions and Answers section at bottom of page! If you want this project to go a little faster you could start out with a courser grit sand paper like 800 or 600. But be sure that you sand out those scratches with 1000 grit, else you will see the scratches after you are done with the polishing step. Before you can polish your frame you need to remove the frame. Next you need to remove the top and bottom plastic pieces. Its very important you don't try to polish these. Your antenna is built into these plastic pieces. So even though its tempting to polish these ( which would give you a glossy black finish, this would remove the protective rubberized coating that keeps your antenna safe. So be sure you remove these before starting. The bottom one has a couple screws that hold it in. Both pieces have glue that keep them attached. You will need to use a good amount of pressure to break this bond to free the pieces. Next you need to remove the speaker grill, and light sensor lense. Just use a small flat blade screw driver to apply a little pressure from the front side and these should pop right out. Next we need to remove the volume rocker. 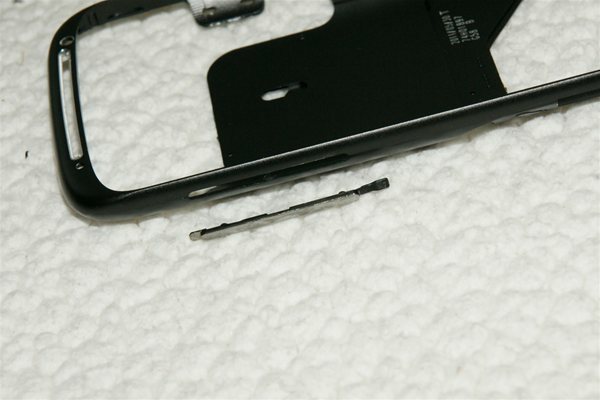 To remove this use a tiny flat blade screw driver to free the rubber part that is attached at the bottom. Start off with your roughest grit sand paper, and start sanding. I highly recommend you start with a 600 or 800 grit. Or if you want to make sure it comes out perfect you can do what I did, and start with 1000 grit sand paper. DO NOT start with anything rougher than 600 grit. This will cause very deep scratches which are very difficult to remove later. You are better off taking your time and starting with a higher grit to ensure the best possible finish. You want to keep sanding until the bare metal is showing. 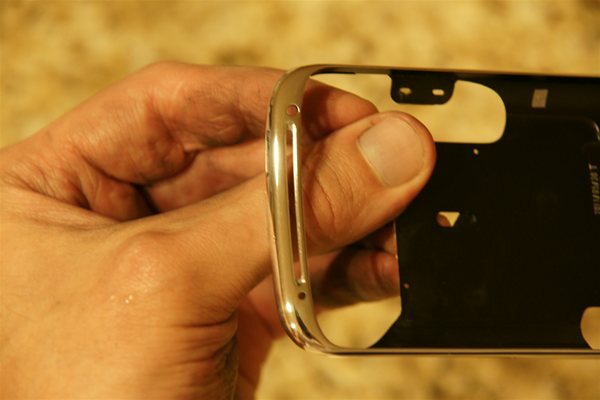 When you are finally done with the first sanding step you should not see any paint remaining on the parts of the phone that will be exposed. The next step would be to use the finer grit sand papers ( 1500 or greater ) to remove the scratches of your 1000 grit sand paper. Fortunately sanding out the 1000 grit scratches with 1500 grit doesn't take very long. I only used a single sheet of sand paper on this step. After you are done sanding its time to move on to the polishing step. In this step you will be using paper towels and the Metal Polish Creme. You want to fold the paper town up and then tape a very small dap of the Metal Polish Creme and buff it into your frame. Make sure you don't see any deep scratches from a previous sanding step. If everything looks good keep polishing the entire frame until it has a chrome like mirror finish. Now that your Frame is Polished reassemble the plastics, Some of the pieces you will need to use a very small dap of glue to reattach them. Where do I buy the Sand Paper and Polishing Creme? The best place to find the materials would be an auto parts store. 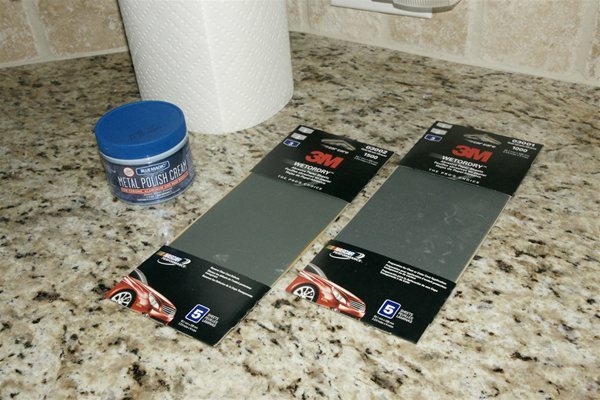 I personally bought mine from AutoZone, but any autoparts store should have the Sand Paper in this fine grit. Its normally used in auto body work. And no you won't find this stuff at Lowes or Home Depot. This is taking forever can I use courser grit sand paper? Sure, using courser grit sand paper in the beginning will help to speed up the process, but remember if you sand it with 400 grit sand paper, you will need to remove those scratches with 600 grit, then remove those scratches with 800 grit, then 1000 grit and so on. Once the initial pant is removed its very hard to tell if you are fully removed the scratches from the previous grit. You won't even realize how many deep scratches are left until you get to the polishing step, where you might see the mirror finish with some deep scratches that won't buff out. At this point you have to go back from the beginning and try to sand out those scratches. This can be very tedious, and disappointing. This is the reason I started with 1000 grit. It took forever, but then I was 100% that I wouldn't have any deep scratches in my finished product. Is there a faster and easier way to remove the paint? Possibly. Jimmah555 from XDA-Developers suggested that buying some Jasco Brand paint & epoxy stripper from Home Depot might work. He said its a gel-like paste. You leave it on for about 10 minutes, the the paint should just wipe off. Then you would be left with the bare metal surface, which should not even need sanding. Then if you wanted to speed up the buffing stage you could use a buffing wheel on a dremel along with the Blue Magic Metal Polish Creme. I haven't tried this myself, so use your own discretion. Will the Aluminum Oxidize after being polished? If you use the Blue Magic Metal Polishing Creme then no. Blue Magic will leave a layer of silicon on the surface that helps protect it. I personally know this works, as I also polished my Sony Xperia X1i and HTC HD2 using the Blue Magic, and I never had any problems with Oxidation for the 2+ years I had these devices. However any metal that is exposed and not polished with the Blue Magic will oxidize. Can I use something other than Blue Magic for Polishing? Sure, but in my experience the Blue Magic works the best. I tried a few other polishes at the autoparts store and they didn't give me the results I was looking for. Plus most other polishes don't leave a protective silicon layer to protect it. So Yes you can use something else, but don't expect the shine to last for as long. What kind of Glue should I use to reattach the plastic panels? I used locktite extreme all temperature glue, not for any particular reason other than it works on both metal and plastic, and I already had it from another unrelated project. You can buy this glue at Walmart for about $3 for a small tube. The Plastic Panels are not coming off, any advice? Yes try using some tiny flat blade screw drivers to help break the bond between the frame and the plastics. If you just pry the plastics off you are likely to bend them up, or even crack them. Just be patient on this step. Can I also polish the plastic panels? No, you should not polish the plastic panels. I know its tempting, as if you were to polish these panels, the result would be matching high gloss black panels. But....Your phone's Antenna which is a thin sheet of metal, lays on the outside of these panels. If you look at the surface in the right light you will see the slight bulge from this sheet of metal. If you sand away the rubberized coating you are likely to damage the antenna layer. One of the reasons the Sensation gets better reception than say an HD2 is because of this antenna design. I know they are kind of ugly, black and grey, but unfortunately there is nothing we can do about them. Can you polish the metal ring around the camera lens? Yes, check the updated pics above. Very easy to remove and polish this piece. Took me 10 minutes to do including cleanup. u r a genius man!! it looks awesome!! Wow, that looks amazing. Good job! Question: Does it oxidise? All the scratches on my Legend have oxidised, so I'd imagine that it's only a matter of time before the lovely, clean Sensation goes black-brown. I hope not though, it's pretty. The Blue Magic Metal Polish Creme leaves a layer of silicon on the metal, and this protects it and prevents it from oxidizing. 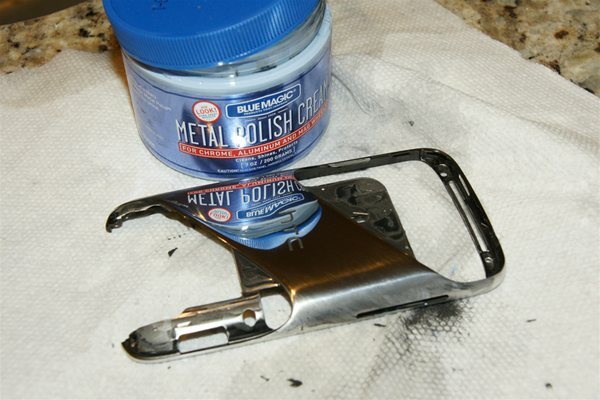 If yours is looking bad, I suggest you visit an AutoZone and buy a container of the Metal Polish Creme, then repolish your phone, It will do wonders for your Legend. 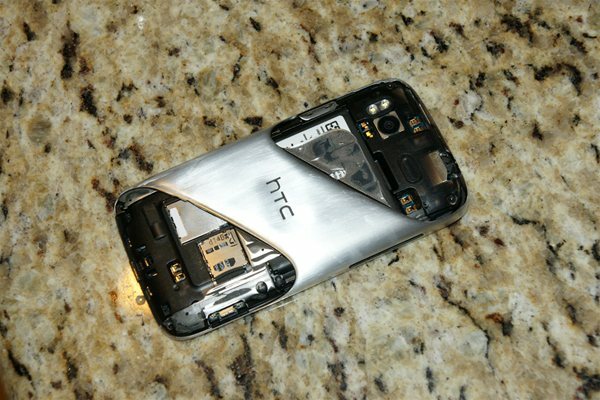 Also as a side note I did the same thing with my HTC HD2 over a year ago, and it never oxidized, just got a little dirty over time. Just took a quick 2 minute polishing to bring it back to new. @Paul: Oh, excellent, thanks. Mine's not too badly scratched, but it's getting a bit black around the edge. I'll probably do this to it, actually, if I can get the time. Not sure how safe it is, though - the metal on the Legend is not detachable from the body. 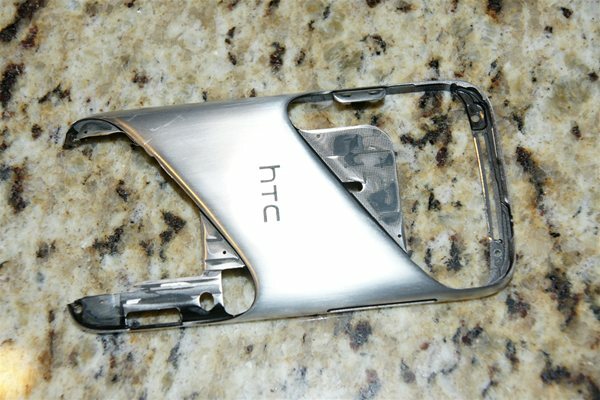 I am just wondering what kind of glue to use for the Htc sensation sanding project...??? OMG!!! That looks so amazing!!! I have a sensation but I don't have the balls to take it apart like that!!!! Wish i could get it done though!!! But you did a very nice job!! Two thumbs up!!!!! wow - great job! I was ready to do this tonight, went to Home Depot and Lowes and neither carry this high grade of sandpaper? Where would I find these? Any tips? Try a hobby shop that has models. I've never had problem finding it there, as do use some of the higher grit sandpaper when building models. Hobby Town in my area has always had it. But your Sensation look like a Superstar! Wonderful! When I get my Sensation I hope I will have the courage to do the same. you can buy spare back housing pieces for the sensation from ebay and then polish it up and keep the orriginal casing if your not quite so good with your hands as you pre-anticipated. THANK YOU FOR POSTING THIS!!! The moment I saw this, I went to the Auto store, grab the polish and SP grit, and headed home for the project. Mine turned out just as you said and looks super shinny. The only difference is that I used a Dremel on mine. For those that do attempt this and want to use power tools, I would skip using the 600 grit paper, and just use the 1000 grit then 1500. FYI? Make sure when using any power tool for this project to use the LOWEST SETTING possible. 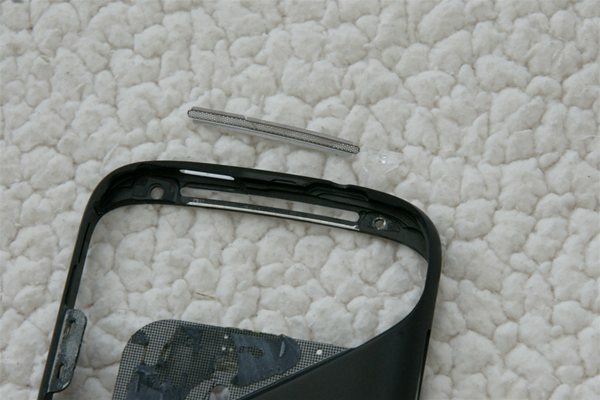 It?s very easy to build friction and damage the metal skin. It takes quite a while before all the paint is removed and the bare metal is exposed. If you look at the pictures of mine, you should notice how the progress starts at the edges and HTC logo and works its way in. Something that helped was using a small block of wood, and then wrapping the block with the sand paper. Then driving the edge of the block against the frame. This created more pressure and helped remove the paint faster. The more pressure you can apply the faster it will remove the paint. I wondered if using a wire wheel on a dremel/air tool would get the first layer off quicker and leave little to no deep scratches.. and then maybe hit with a little 1000/1500 to kinda give it some consistency.. what do think? Wire wheel brushes are about 80 grit. I would not recommend using something like that to start. The finest wheel brushes I have seen are still only 250 grit and this is still too low. You could use it but then you are going to have to go through many steps with middle grade sand papers to remove those scratches, before you get to 1000 Grit. Just polished the front of it, and took some test pics. no Glare issues at all. If you were to polish the inside of the ring, then this could possibly cause problems from the light reflecting to the sensor, but by just polishing the front there is no problem. Would it be possible to color it red ,blue ect. After the sanding and polishing has been done? If so any ideas on what to use. Awesome job man, freakin nice looking phone. 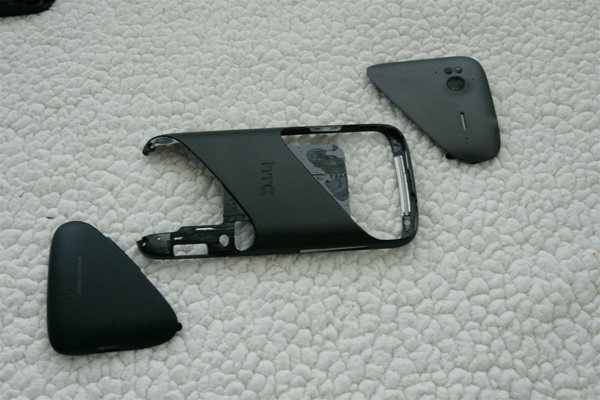 By the way, any chance of doing it for HTC thunderbolt, would love to do it but don't know how to disassemble this thing. Again, great job here. Just did it, looks incredible!! Thanks for the how-to!! Hey! 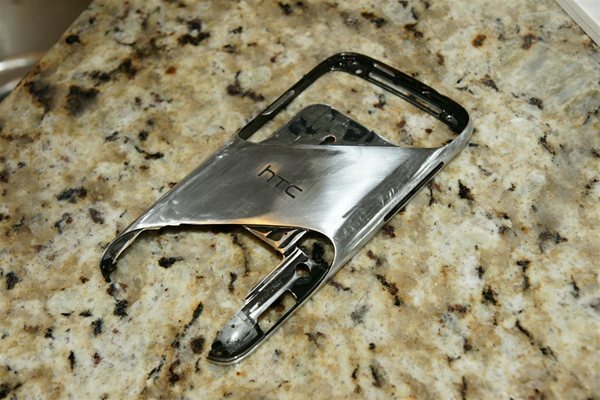 I am finished with the sandpaper step and I want to paint the htc letters a deep red because they are no longer black lol. Would you suggest painting before polishing or after and would automotive touch up paint be the best? 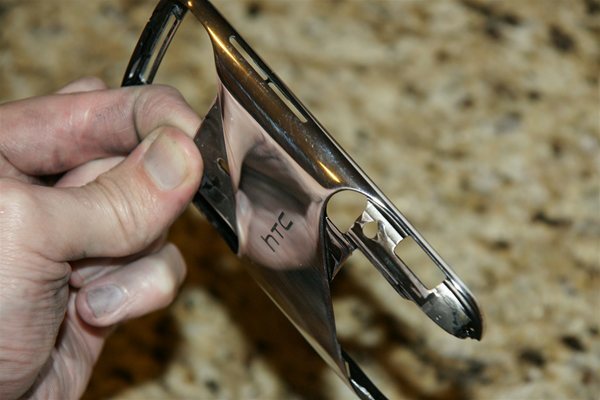 I would suggest filling in the HTC log with paint before the polishing step. You might have to let it sit there for quite a while to cure. Then once its cured do your polishing step. The polishing step is likely to remove some of the paint and give it a nice glossy appearance. Did you try to sand the power button, volume rocker or speaker grille? They are chrome originally, but they feel like plastic. I assume that if I sanded and polished them, they would be a shiny black. I like the contrast between a chrome body and black buttons, like my fourth gen iPod touch. But I think you are right, if you were to sand off the chrome coating then the black would be exposed. However these buttons are very fragile, so sand them with caution. 2. How long-lasting is this silicone coating that particular polish contains? How likely is the aluminium to go dull and oxidise over time do you think? And, lastly, would ordinary paint stripper be ok for taking the paint off before the polishing step? I'd rather save all the time and take off every last remnant of paint, but also, can paint stripper destroy or corrode the surface/colour of aluminium? You can make a youtube video `? Hey Paul... I've been meaning to get around and send you a picture of my phone, after I finished it. It really is fabulous, the battery life is so atrocious with this phone though, and thats even using JuiceDefender Ultimate. I've had countless top of the line phones so I know how bad the battery life on these are. I'm currently selling it, after all my hard work, on eBay. Thanks again Paul... I certainly couldnt have done this without your help. HOLY SH*T! This is awesome!!! 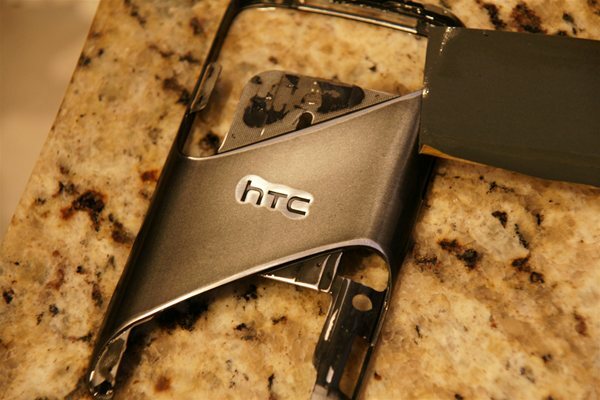 HTC needs to consider this external design direction! 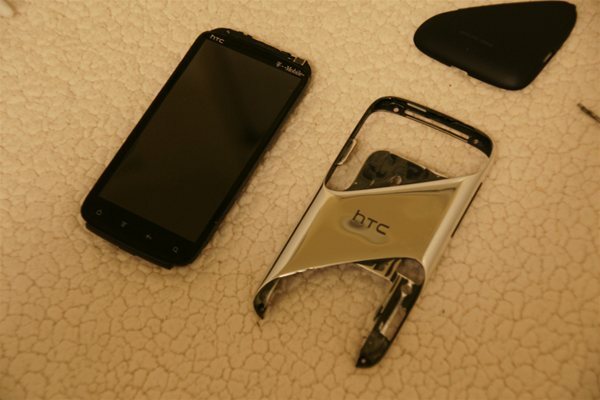 This HTC Sensation tuning looks more premium than standard its look. Raw polished aluminum touches my heart! Thank you. HTC needs to make more unexpected design experiments. Really awesome. +That camera metal ring...mmm!!!! I love it! Nice 'manual', thanks a lot. 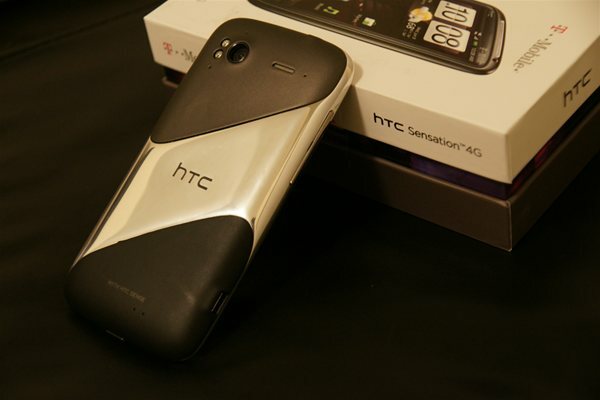 Unfortunately I don't have enough money to ruin my HTC Sensation. This seems to be only for professionals. WOW !!! You crazy man ! The best phone i ever seen. Thanks for sharing. also to the dude who painted the htc logo red, what type of paint did you use, and do you think that nail pollish would work if this was just a bad idea. Hey Paul, Great Job! I really want to do mine, but wanted to see if you could answer the question about possibly changing the color of the metal maybe to a brushed metal but blue instead of silver... any ideas? 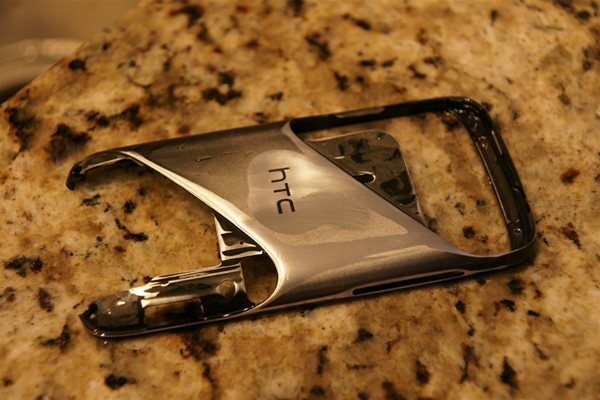 Now its been a while since you did this exelent work on your HTC. I would like to know if the result is still as crome as when you did it.? Do you have to apply the cream once a month or...? Hope you will reply to this as that may be the one thing most of us want to know. @Bob I used simple Automotive Touch Up paint... pick a color you want your "HTC" letters to be and use a very fine paint brush tip, like a toothpick thin. @Paul... Thank You again. It looked great and I sold it for nearly $1300 to someone in Europe. Apparently they wanted a one of a kind phone. 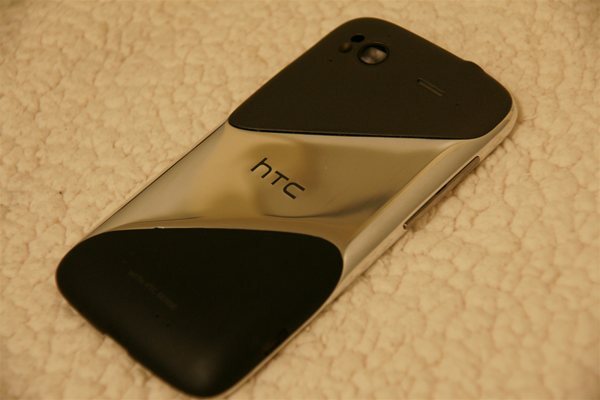 I started sanding the cover down and the HTC logo is starting to reveal chrome too, am I doing something wrong? It wasn't til the polishing step that my logo filled back in with black ( dirt ). I actually wish my logo had stayed polished, but it didn't work out that way. Just wait til you show your friends. They will be like "Wow your phone is awesome, WTF happened to your fingers!" Yeah this is not a project for the weak or lazy. question. if you want the brushed aluminium loo, how do you stop it from oxidising ? will the metal polish make it glossy ? The metal polish creme will make it glossy, but as long as you sand it with a lower grit sand paper ( 600 or 800 ) and you don't move onto the final high grit paper. The polishing creme should not remove the brushed texture. If you started off with a grit lower than 1000, then yes you will want to sand it down with 1000 grit. If you started with a very course grit ( 600 ) or less. Then you might need to sand with 800 grit before the 1000 grit. Don't worry about it looking bad at this point, until you sand it down with 1000 grit then give it a quick once over with 1500 grit you will be ready to polish it. Even after you sand it with the 1500 grit you will be thinking that its not going to come out very good, but then when you start using the metal polish creme everything will turn out great. The stuff is amazing! I saw your post and pics through a friend from xda developers members and I immediately went to town on my HTC HD2 battery cover, so in reference to the type of results by high polishing with high# grit sand paper(s and foam pads on a grinder.Holding it secure without denting the thin metal is important and most importantly watching the angle to surface edge contact. You'll wind up fling'n the piece across the room if you catch an edge wrong.I'm sending my results to you, it was yours that ignited my pursuit of that sick mirror.finish on metal! I spent 2hours on it and it started the same as yours.The higher #grit paper you use there becomes no need for creams to bringout the mirror-look. It doesn't fade away or corrode, but using polishing products / materials for aluminum will deliver the sickest / deepest mirror finish! So Thanks for your posting the project, yes it is SENSATIONAL !! Just bought , blue magic polish 6.79, and to remove paint I bought klean strip aircraft paint remover 8.99, and a polishing rag for 4.99 with tax in NY it comes to 22.43. I feel confident a few applications will save me the sanding. My plan to remove the surrounding plastics is to use a hair dryer to heat up the bonding agent to allow me to get it off easier. Can you please go into further detail of how to pry them off? How long did that process take? Where should I start prying? How tiny of a flat head? What do you think about my materials? Im going to do this on my sensation xe. 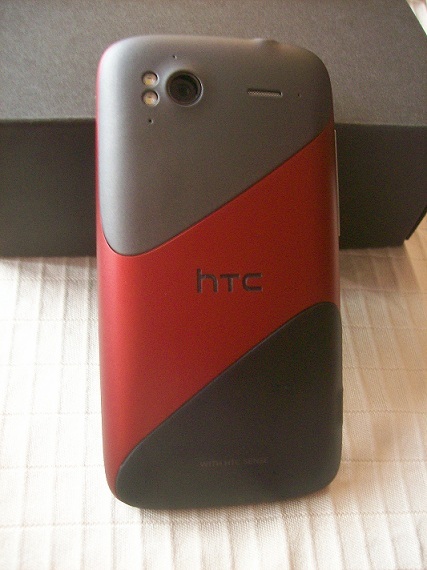 With the red htc logo like Dustin. Hopefully the XE comes out soon. hey can u make me one ill pay u?? I was planning on after sanding it down. 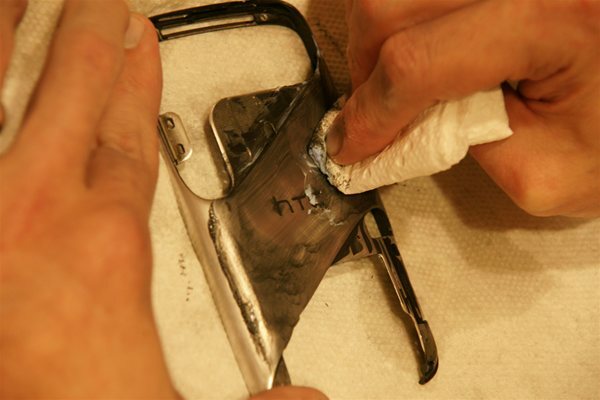 painting the frame one color and htc logo another. Now if I were to do that, what kind of paint should I use and should I put like a clear gloss coat over it for protection? I´m sanding it out now first with 800 grid, then 1000 grid then 1500 grid... It´s really hard work :D I have ordered the Blue Magic Metal Polish Cream from USA yesterday, it costs 7$ and !!! 12$ for shipping to Germany. :D I hope it will cought up for me... :D Thanks for this guide, I will post my pics in a few days. Hi. I saw this amazing mod on xda forum. I take my saensation (not 4g) and started hard work. with the only and and paper I think that I will finish not in 6 hours, but I hope 10-11 hours. unfortunately I could not find the 1500 sendpaper. I only find up to 1000. So I strated with 1000.
why you did the work under the water??? the antenna does not ruin??? I make all without water. When you use high grit sand paper its common to wet sand, as this helps to remove the waste material. Its common in metal sanding and autobody work. The 1500 grit is not 100% needed. 1000 grit may be fine enough. As long as you completely remove the painted layer. Then use the polishing creme. I only spent like 5 minutes sanding with 1500 grit, compared to the hours I spent with the 1000 grit, so I am not sure if it made that big of a difference. Wow!!! This is a lot of work but it is worth it. Well done! I have done this with my last 3 phones, and never had a problem with scratches. Of course you will get small scuffs from use, but these are easily polished back out with the metal polish cream. Never had any problems with oxidation either. I haven't spent much time with the Evo 3D to know if it has any metal parts. Basically anything that is metal, could theoretically be polished. Yeah Easy. Plastic won't feel cold to the touch, Metal will. 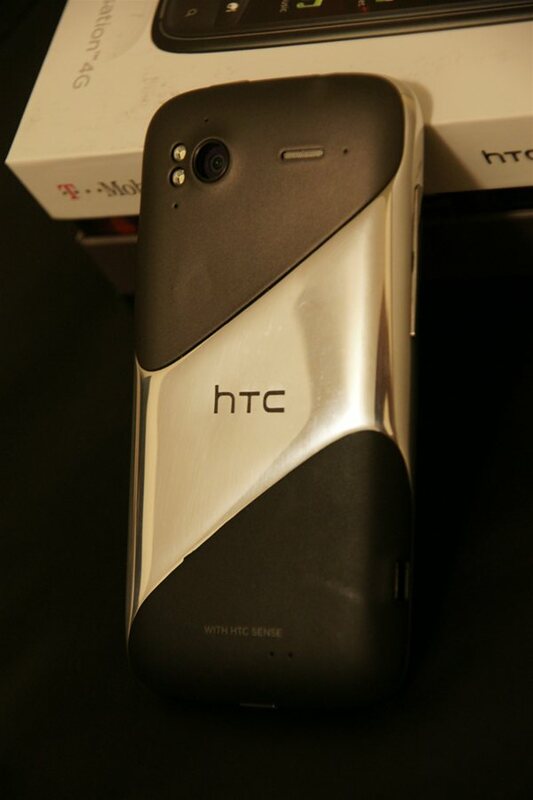 This external appearance, with the silver body and black plastic pieces, was actually how we all first saw the Sensation when HTC designed it; as the "Pyramid" earlier this year. That's what made me fall in live with it. I was hugely disappointed when they painted it dark brown. It's good to see the original look again! I will try something similar with mine. Hi all and thank you for the great DIY. I am having a hard time finding this Blue Magic Polish Creme here in Europe. Any suggestions for best alternatives? Order it from Amazon.com, I am pretty sure they ship globally. Hi Paul, is the whole frame made out of aluminium or are there any parts left made out of plastic. I'd like to use paint remover, but normally it destroys the plastic. You have to remove the plastic parts, from the case first. Then you can polish the cover. NOT NOT use paint remover on the plastic parts, as they are likely to dissolve. The frame is all Aluminum, after your remove the plastic parts like I did above. So yes you can just dunk the entire thing in Paint Remover, and let it soak for a while. Keep in mind the outside is not painted its anodized, so the paint remover might not get you to the final result. You still might have to do some sanding. Good luck! Wow i love it. i just bought the Sensation XE and did the same and it look beautiful Black, red, Chrome. nice combo and makes the phone look like a champ. i love seeing the envy on my friend's faces when they see it. they have a plain old Sensation and mine looks unique. 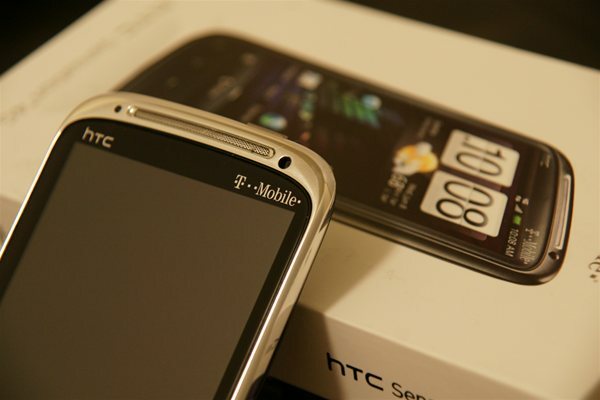 Tried this on the T-Mobile HTC Amaze 4G and it looks amazing too. really cool idea! thanks! How do you keep the brushed look without it oxidizing? idea: engrave a photo or a message on the back. It's a easy way to cover deep scratches. If you have a FEW deep scratches, you could get imaginative and turn those ugly lines into a picture. When someone asks, "are those scratches?" You can say,"nope, I meant to do that." @Paul, Just wanted to confirm which screwdriver you used to take apart the screws off the bottom plastic bit. I had a jewellery screw driver set and none of them seemed small enough. Do you think this would do the job?- http://www.ebay.co.uk/itm/290329756016?ssPageName=STRK:MEWAX:IT&_trksid=p3984.m1423.l2649#ht_1671wt_1270 Thanks in advance. I have a Craftsman ( Sears ) 12 piece Micro-Tech Precision Screwdriver set. The smaller Philips ones worked well. I think you can also buy the individual screw drivers from sears. However its cheaper to buy the set. I can't tell what size the one in that auction is. Would it influence the cell phone reception, if I paint the two bottom plastic pieces? Thats a good question. I would think it would depend on the paint used. One of the main reasons for the Sensation's design with the antennas built into the plastic pieces is because Metal will block / deflect signals. I actually learned this the hardway with my home's wireless network. We installed a wall mirror ( 9ft wide by 5 ft tall) in our workout room. And this room is between my office and the room our wireless router was installed. The result was WIFI signals were almost entirely blocked, as the line of sight had to go through this mirror. You have to realize that the antennas are actually glued to the outside of those plastic pieces. Then a very thin layer of rubberized coating is applied over them ( that is what you actually feel when you touch the plastic pieces.) Considering this design, Any coating you were to apply to the outside of your plastic pieces could have a negative impact on signal. Also trying to get paint to adhere to the rubberized coating might be difficult, and you can't sand it off because this would likely damage the thin copper layer ( your antenna ). However you free to try. Let us know how it works out for you if you do. When do you use wet and when dry sand paper?? Typically when sanding metal or paint, you always wet sand. The water acts as a lubricant between the surface and sand paper, plus it helps to remove sanded material from the surface. I sanded mine under my kitchen faucet while the water was at a good constant drip. @paul Thanks I'm inspired I just read this last night. Picked up supplies 2 day, now I'm going for it. Glad I stumbled upon this. Did the same with my sensation and legend..looks hot!thank u for your gr8 idea!!!!! fyi the paint stripper does absolutely nothing. I just spent the last 6 hours polishing the back cover on my Sensation but now I want to sell the phone and take advantage of my upgrade. Hi because of your guide i tried another idea. i didnt like the black backcover of my Sensation XE because it had red keys. Please don't use my blog to solicit anything. If you want to sell your back cover, you might want to post it on ebay, then tell everyone on XDA-developers about it. Other people have offered to pay me, but considering the time it takes to do a good job, it wasn't worth it for me. Thanks for the awesome write up Paul! I did this for myself over the weekend, and it turned out great! My phone looks so sexyyyy now, haha! Radu, to answer your question, you will need a few sheets of 1000 grit sandpaper, and one sheet of 1500 or 2000 grit sandpaper to sand out all the scratches left behind from the 1000 grit sandpaper. However, I managed to complete the whole project using one piece of 1000 grit, one piece of 1500 grit, and 2 pieces of 2000 grit. I ran out of the 1000 and 1500 grit about half way thru, so I was stuck doing the rest using 2000. It took me a while, but I managed to finish it with what came in the package of sandpaper that I bought. Pourriez vous créer plusieurs coque de ce style (chromée, rouge, bref différentes couleurs etc...) et les vendre ? Je ne suis malheureusement pas très débrouillarde, et préférerai ne pas risquer et payer une coque déjà faite par quelqu'un. Have anyone try gold plate it? Has anyone tried to paint or recolor the black plastic parts? I'm gonne try this myself :p looks very nice! and thanks for the tutorial. I think im also going to do this the amish way ^^ and like what u did with the camera port. but I'm wondering if anyone tried drilling into the holes of the LED's with a conic shaped head. ( that thing u use to pre-drill wood before inserting a screw so the wood doesn't crack ). So it makes a 'chamfer' shaped edge just like the front camera has. 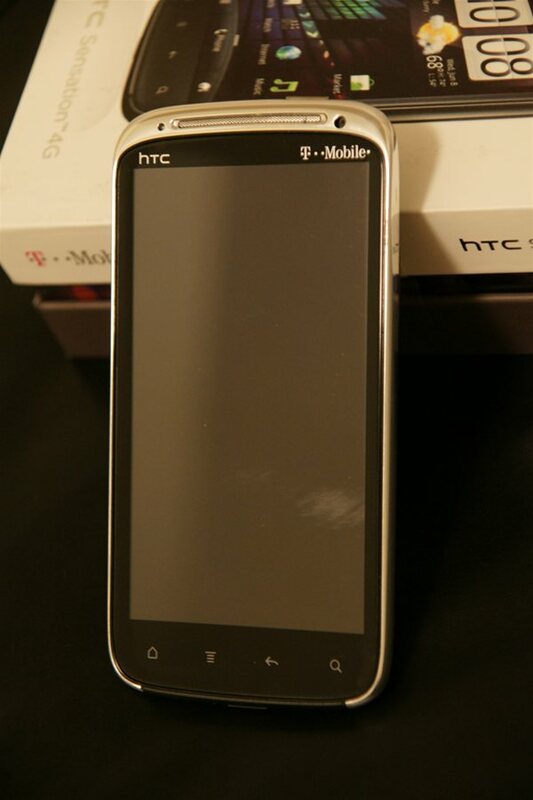 i have a htc sensation xe i want to make its metal part wine red chrome. please give me some advice how can i make a color chrome? i just did this and it took me 4 hrs total i used the exact specifications you used and did everything the same except for with the sandpaper i used a rubber sanding block which cut the time down drastically and made it easier on my hands and fingers lol,but thank you so much for posting this inventive idea i love my phone even more now and so many are jealous and evious of my phone lol thanks again! I was curious, is it possible to not remove the plastic, but not sand it? Could you cover it with something protective like electrical tape, as well as the antennas inside of course? And then just sand the metal down to the chrome? Removing the plastic is quite time-consuming and very tricky, so I was curious if one could ideally cut that process out. 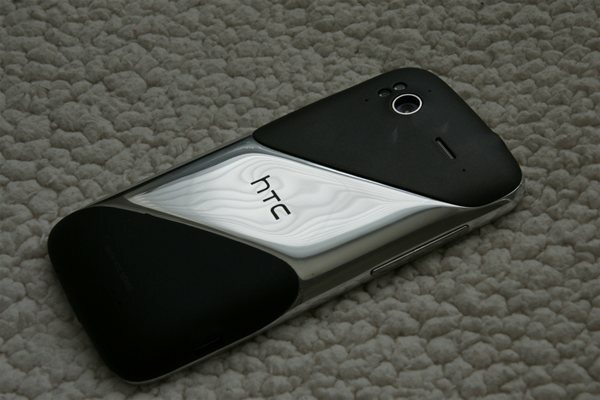 On the contrary, how can i repaint it black with the same finish as htc gave? I am with Justin above, I replaced the digitalizer myself on this phone, and that was easier than this. Getting the plastic pieces off the cover was not worth it. Maybe cause the covers are so much older by now than when this post was created, because the glue was so hardly stuck to it, I made holes and dents trying to pry it apart, that is with using the plastic phone tools also. Not worth it. Indeed, the glue holding the plastic covers is much harder than the original post of this procedure. I screwed up the wifi cover pretty badly by punching a hole through it and deforming the glued-down portion. Also, I was not in the mood to make a Home Depot run so I decided to try some 'Driveway, Concrete & Masonry Cleaner (concentrated)' that I had in the garage. This is available at Home Depot as well. It's literally eats the coating off of the aluminum! It was completely free of any visible coating in under 10 minutes and I think it would have continued to digest the aluminum body itself if I had left it in there longer. It was fascinating to watch!! Anyway, I dressed it up with polish and it looks quite nice. might see what it looks like with some decent lacquer to protect it. When I chromed it up I also sanded down the volume button so that it's black. It looked awesome with the chrome finish and black button, shame the power button is not black under the paint. I gave this project a go an it came out outstanding. I tried using the paint/finish stripper but to no avail. I do find that using a sanding pad (http://m.grainger.com/mobile/details/?R=4ZR18), like this one, made the job much easier and faster. I use some Ajax cleaner and I was done in under two hours, stripping all the coating off the phone. I think it would have taken me even a shorter time, if I wasn't babysitting my son, who kept wanting to play. Nonetheless, the look I got from using the pad was much more appealing to me, it gave it an industrial look like brushed aluminum. I have to admit that using running water is perfect to get this job done quicker. Good luck to all of you that try this out, you won't regret it. Mr Right says: You can do it!